NextGen has developed an Egyptian-themed online slot playable on Slot Pages gaming site. This game is known as Cleo's Wish Slots Online machine. 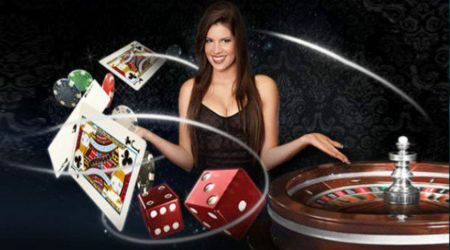 Players should expect to earn considerable payouts from the Free Spins and Guaranteed Wild Reels on offer. Check out the review below for more information on this video slot. With Cleo's Wish Slots Online game on Slot Pages, you can start playing after opening an online account with 30p per spin. There are 5 reels available and a total of 25 fixed paylines. Players can also place a wager of £60 per spin in this video slot. Players will earn a win when they can match up three or more symbols on an active payline. These symbols include A, K, Q, J, 9 and 10 card symbols cleverly made with Egyptian designs. You also have golden bracelets, ankhs and Scarab beetles symbols that are all synonymous with Egyptian civilisation on the reels. A Pyramid Scatter symbol is on hand to activate two Free Spin features. These are Cleo's Parade and Eternal Riches Free Spins. These free spins are activated when you land three of the Pyramid scatter icons on an active payline. In Cleo's Wish Slots Online you will receive between 5 and 10 free spins for both features and in Cleo's Parade, you will have Cleopatra Wild symbols stacked on reel 5 during the round to help you land winning combinations more frequently and to boost your payout. You get to play three mini-sessions during the base game and these sessions are all randomly triggered as well. They include the Add Wild Reels where Cleopatra Wild icons are dropped on the reels during the base game session. If you land five Cleopatra Wild icons on a payline you will earn 500 coins in Cleo's Wish Slots Online game. There is the Sands Of Fortune session during the base game that is also randomly activated and involves the transformation of all icons into one high valued symbol for increased winning potential. Last but not the least, you have the Guaranteed Wild Reels in which the five reels during the base game can act wild to boost your wins. The graphic design of this online slot is cartoonish. You get to play with a very low wager per spin and the Free Spins, as well as the three, randomly activated base game features will help earn you consistent wins and cash rewards.